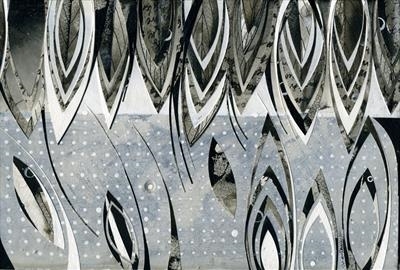 This collage is one of four of my artworks in the book Pen and Ink - Contemporary Artists, Timeless Techniques by James Hobbs (published in the UK by Frances Lincoln in 2016). It was exhibited at DRAW 14, the 93rd annual open exhibition of the Society of Graphic Fine Art at the Menier Gallery, London in 2014. Framed size 30 x 40 cm. Framed by J Manley Gallery of Eton with specialist 'water white' ultra-clear float glass.